Bumblebees placed in urban areas produce more offspring than colonies in agricultural areas, concludes a surprising new study. 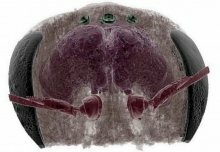 The research, led by academics from Royal Holloway University of London and including an Imperial College London researcher, is published today in the journal Proceedings of the Royal Society B. Despite the fact that urban areas are usually seen as being less friendly to wildlife, this study showed that bumblebee colonies actually grew better when placed in the urbanised London area than surrounding agricultural sites. Bumblebees are important pollinators but are facing multiple threats, including changes in the availability to forage because of land-use change and pressure from parasites and disease. Finding what controls their breeding success is therefore important. PhD student Ash Samuelson, from the School of Biological Sciences at Royal Holloway, set out to discover why: is it that bees simply move into urban areas, or are urban bee colonies are more successful and able to produce more offspring? Colonies of wild bumblebees were reared in the lab at Royal Holloway and placed into 38 gardens and farms across the south of England from inner city London to farmland in Berkshire. The bees were then monitored over a ten week period. Ash said: “We found that bumblebee colonies placed in agricultural areas produced significantly fewer reproductive offspring than those in villages or city sites. This means that these colonies would be less able to pass their genes on to the next generation. We also found that agricultural colonies were smaller and had less stored food, which may have contributed to the lower reproductive success. The abundance of flowers throughout most of the year in gardens and parks may help explain why the bees thrive, while the loss of wildflowers plus crops that flower for a short time in agricultural areas may mean bees have fewer resources. The use of pesticides on agricultural land could also have a negative impact on the health of colonies. Co-author of the study Dr Richard Gill, form the Department of Life Sciences at Imperial, said: “Understanding how human-induced land use change affects bumblebees is vital in developing the best mitigation strategies to protect our future pollination service providers. 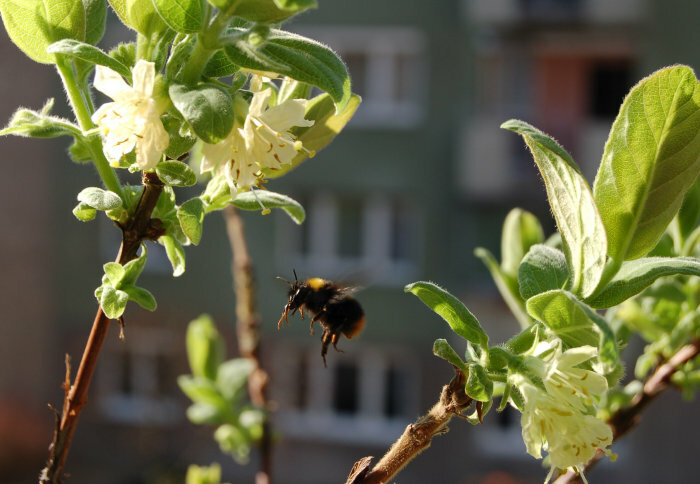 'Lower bumblebee colony reproductive success in agricultural compared with urban environments' by Ash E. Samuelson, Richard J. Gill, Mark J. F. Brown, and Ellouise Leadbeater is published in Proceedings of the Royal Society B.